Baker Mayfield and the Cleveland Browns look like they’ve been liberated ever since former head coach Hue Jackson was fired a couple weeks ago. 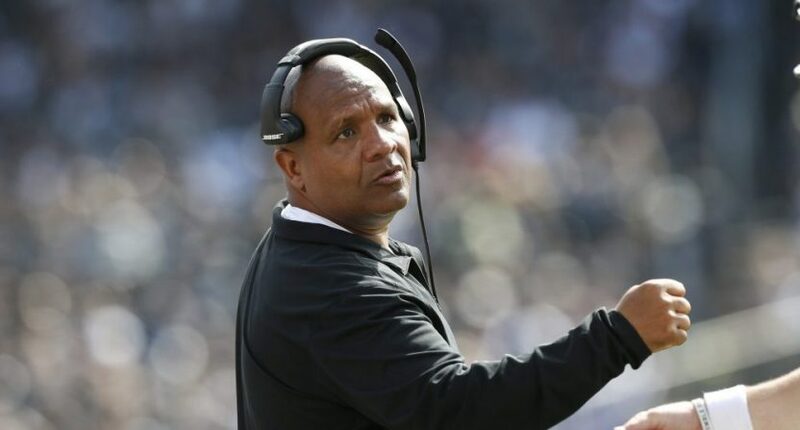 The Browns have won two out of their last three games after Jackson was sent packing, which is just one win shy of the three wins Jackson was able to accumulate in 40 games in charge in Cleveland. Last Sunday’s victory at the Bengals (where Jackson now coaches) was Cleveland’s first road win since the Mike Pettine era, and the Mayfield-led offense put up the most points the Browns had scored in a first half in almost three decades. The #Browns had 28 first-half points … their most since Week 14, 1991 (31 points in 1st half vs IND). Jackson obviously wasn’t the best coach to guide Mayfield and the Browns franchise moving forward. In fact, the case can be made that he’s one of the worst coaches in NFL history. And this little anecdote may give us insights into reasons why a move was so badly needed in Cleveland. CBS announcer Ian Eagle was on the Rich Eisen show and talked about the broadcast crew’s customary meetings with coaches and players that happen in the lead up to a game. Eagle and Fouts called Jackson’s last game with the Browns when they played the Steelers. Eagle told Eisen that Fouts asked Jackson why the Browns didn’t run more plays from Mayfield’s offense at Oklahoma (like RPOs) to take advantage of Mayfield’s skillset. Hue Jackson, ladies and gentlemen! Let’s be honest, does this really surprise anyone? That Jackson would answer a relatively straight-forward question with a non-sensical non-sequitur? And that his offense couldn’t actually adapt to his own franchise quarterback? Maybe the awkwardness has to do with the issues between Jackson and offensive coordinator Todd Haley which caused both of them to be shown the door. It’s surely no coincidence that Mayfield is blossoming under new leadership. It’s a funny story, but it certainly shows how broken things were in Cleveland under Hue Jackson… and maybe why things were so icy between him and Mayfield on Sunday in Cincinnati. Of course, the only next logical step in this story is Jackson taking over for Marvin Lewis as the next head coach of the Bengals.